D = Height of animal in a natural standing position from the top of the head or the ear tip, whichever is higher. Note: your pet’s head or ear tips, whichever is higher, must not touch the top of the crate. 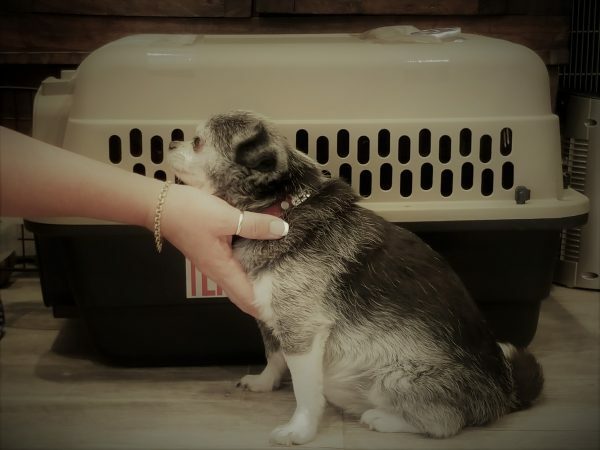 Not only must your pet have room to stand up and turn around in their kennel, they must have 2-3″ of clearance between their head and the top of the kennel. They must also be able to lay down and stretch out their front legs full length. World Pet Travels mascot, MINI-COOPER, was kind enough to model how to measure your pet for your crate. In order to determine if your crate is acceptable, please forward a picture of your furry family member to paws@worldpettravel.com like the one here of our baby! Click image to go back to "What You Need to Know" page.